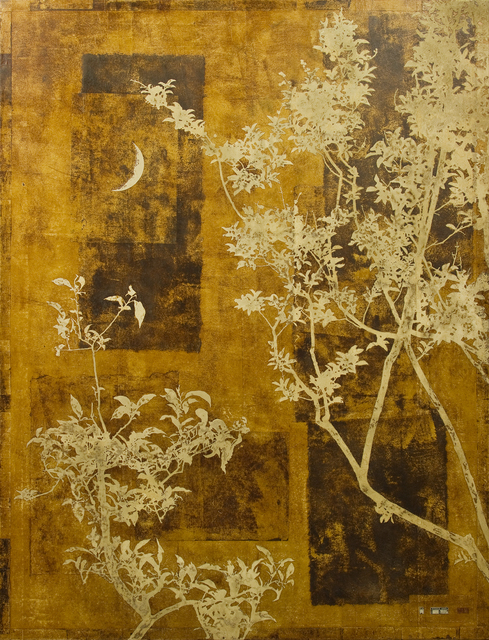 There are many lacquer artists who create two-dimensional works with lacquer, whether they are traditional or contemporary works; however it is very rare to find Japanese style painters who employ lacquer techniques into Japanese style paintings called Nihonga. 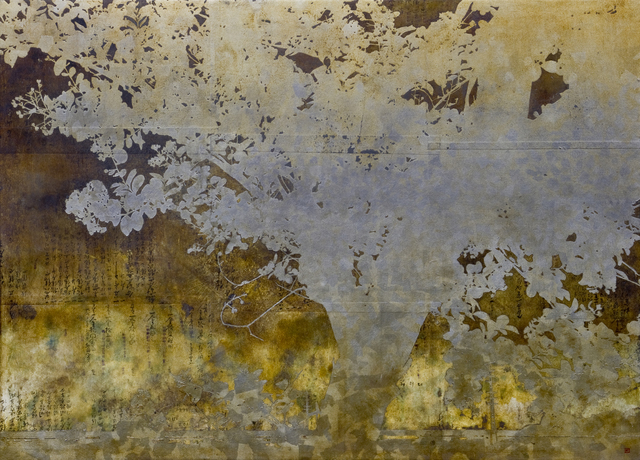 The metallic surfaces created with metal leaf or powder reminds us of Japanese folding screens or paintings of the Momoyama and Edo periods; but those surfaces are very flat. 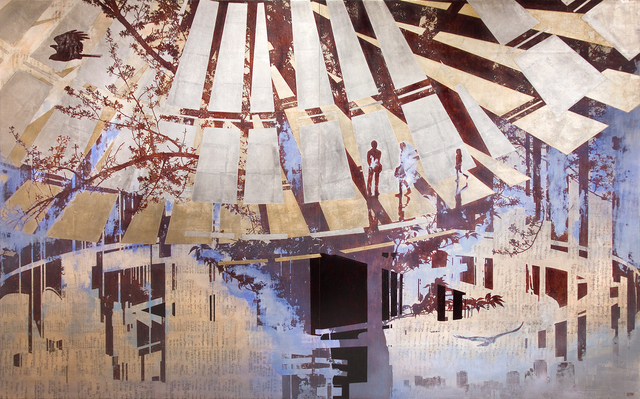 However in Osawa’s “layered paintings,” which combine lacquer with metallic pigments. 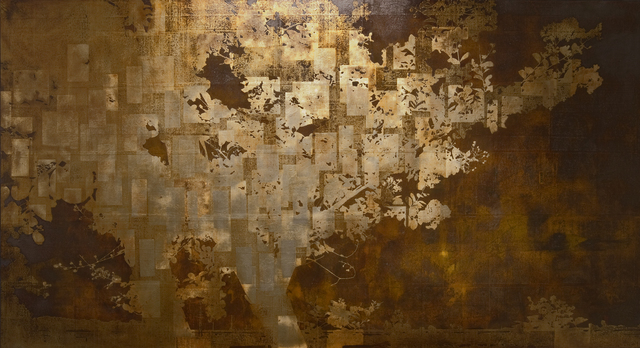 the brownish color of raw lacquer creates a greater depth and shadows on the surfaces; and this also expresses the passage of time which is important in his work. 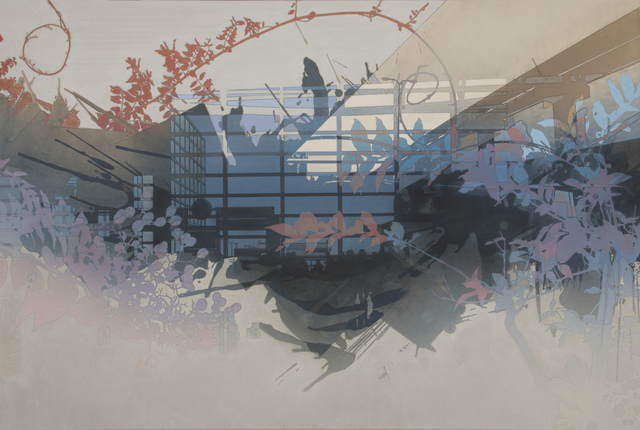 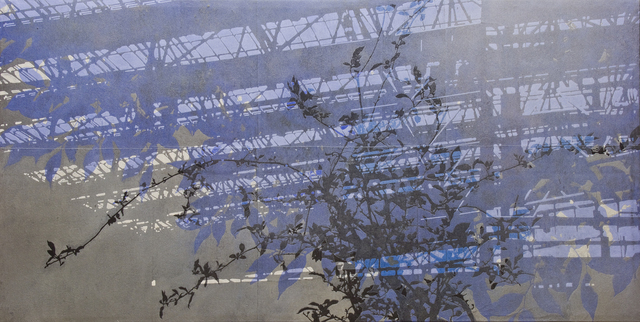 Although Osawa’s layered style of painting is original and unique, he is not yet satisfied; and he continues to explore new possibilities of his composite technique.